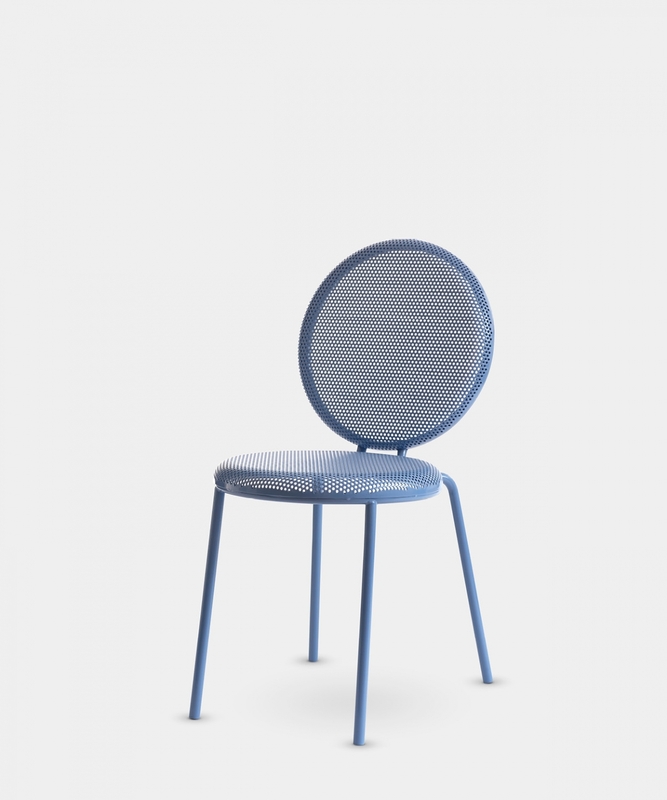 “Inspired by the iconic Thonet bistro chairs, my idea was to design a contemporary variant of the café/bistro bentwood and perforated-seat chair. 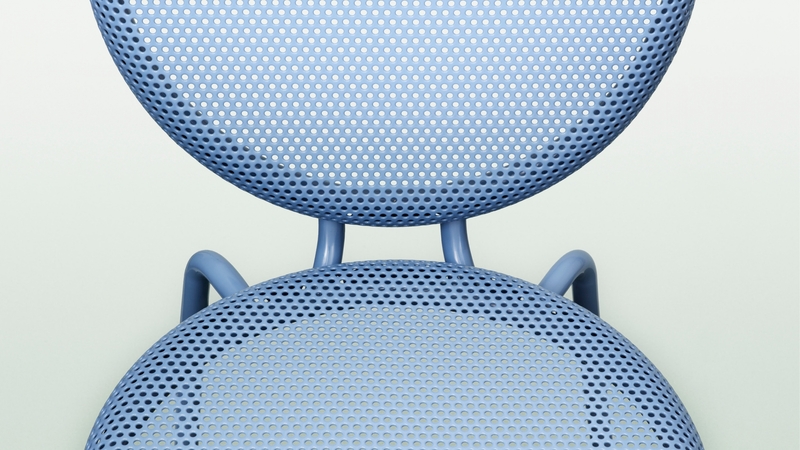 Drawing on the raster design, the result was a unique seat and backrest where the seating surface appears to float above the frame. 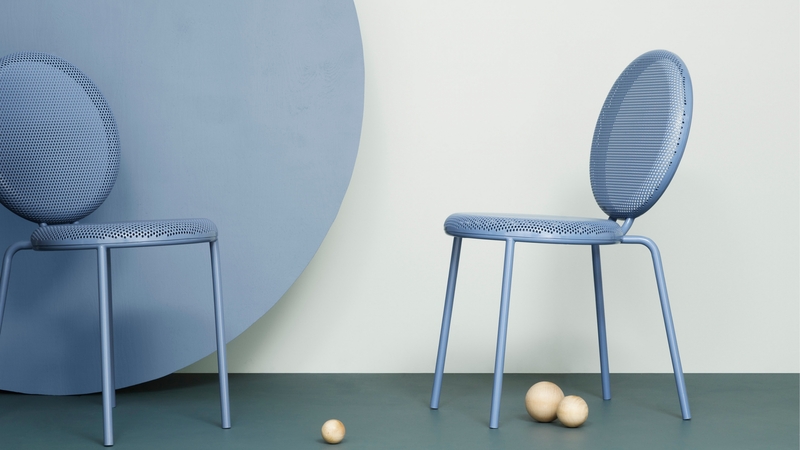 Only one factory in Sweden is able to mould the state-of-the-art seat. 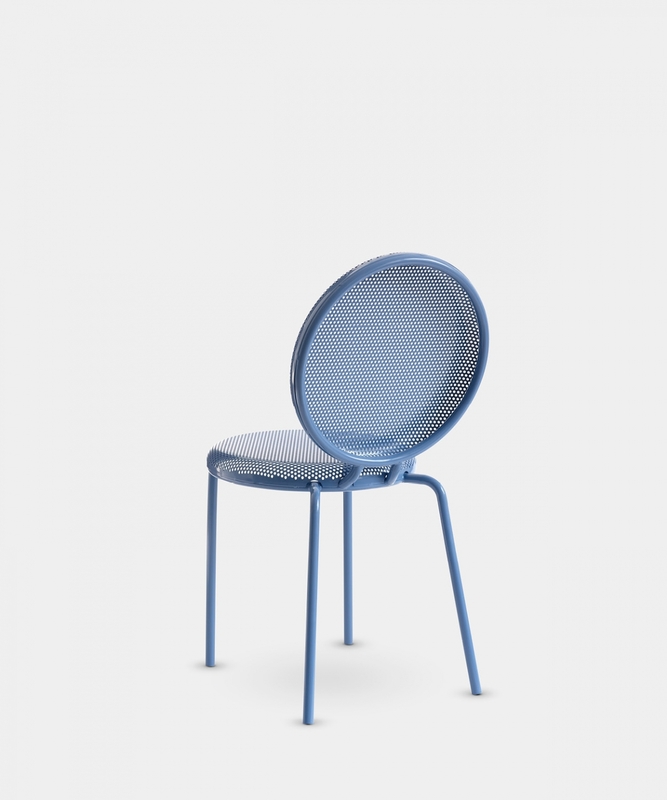 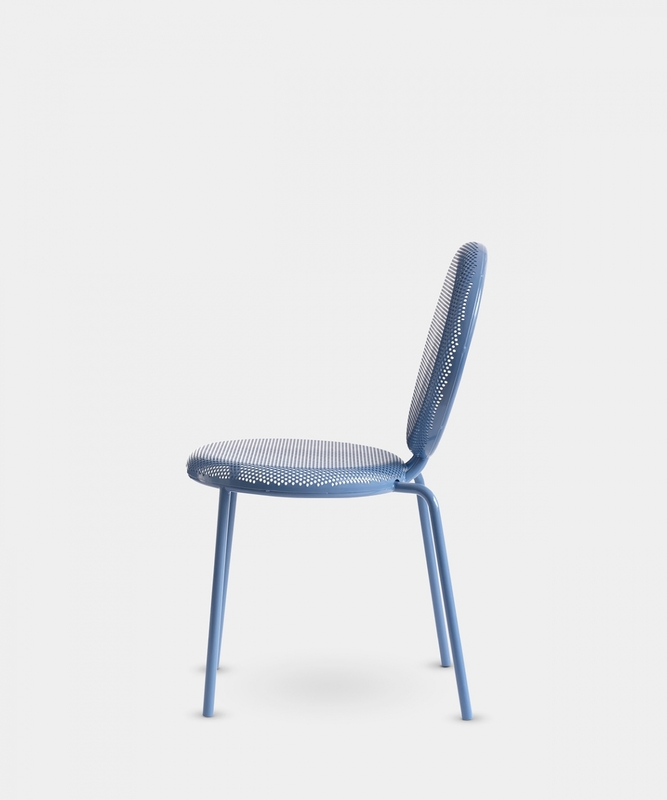 The chair is made from powder-coated steel”.